Ultrasound-guidance has proven invaluable for the regional neurosurgical center at the Salford Royal Hospital outside Manchester, England. In addition to helping to improve patient safety, ultrasound is increasingly being used to guide regional anesthesia, offering a variety of benefits. 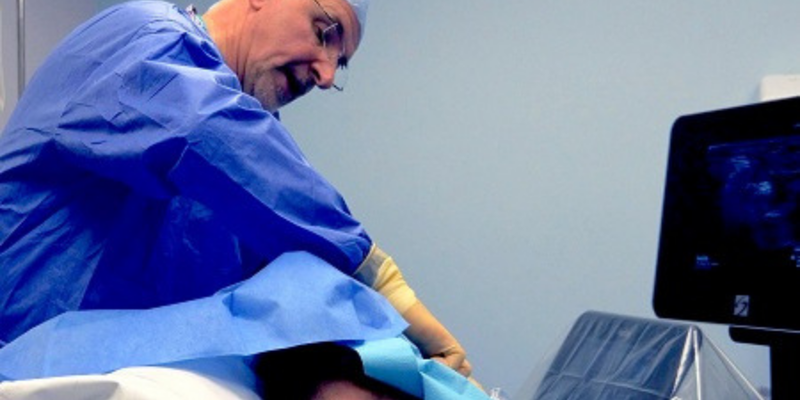 Jim Corcoran, consultant neuroanesthetist and clinical director for perioperative care at the Salford Royal, says that ultrasound-guidance also allows anesthetists to reduce the amount of anesthetic required to effectively block a nerve region (10-20 ml versus 30-40 ml using landmark/nerve stimulation techniques). "Before ultrasound-guidance became commonplace, regional anesthesia was performed using nerve stimulators. Although this worked, the procedure wasn’t slick. Ultrasound offers an improved way of administering the anaesthetic, which is quicker, safer and more comfortable for the patient. 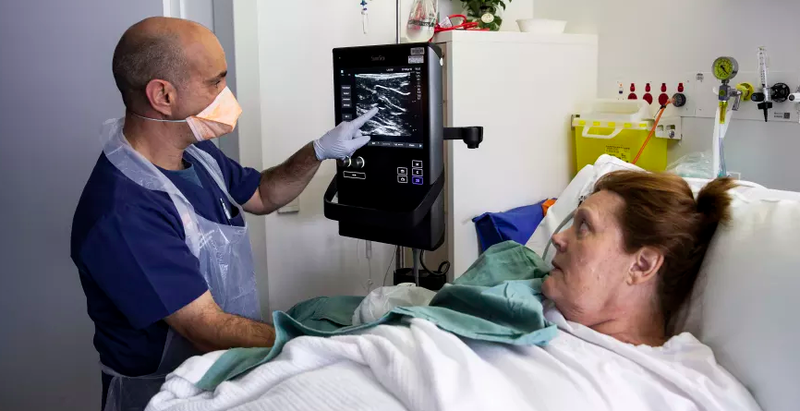 It allows you to visualise the nerve, giving assurance that the needle is correctly positioned, and gives you confidence that the block will work; there is always a degree of uncertainty if ultrasound is not used. We can also dramatically reduce the amount of anaesthetic used with ultrasound-guided procedures, decreasing the likelihood of side effects. Whereas previously 30 or 40 ml of anaesthetic would be injected – because it was hard to target a specific area with certainty – you now know exactly where the needle is, and can see the anaesthetic spreading across the area. As a result, as little as 10 to 20 ml of anaesthetic is required, which is a huge reduction." "Today, we use ultrasound-guided regional anesthesia for both awake surgery and analgesia, for example, interscalene blocks for patients having shoulder surgery under general anesthesia. Regional anesthesia has totally transformed shoulder surgery, significantly reducing the length of patient stays. Ten years ago, patients were admitted for one or two days, but subacromial decompressions, for example, are now treated as day cases, and even a shoulder replacement is only an overnight stay. I also use ultrasound to place catheters in some of the more challenging shoulder replacement cases, which makes a big difference; the interscalene groove is a difficult area, and knowing the exact location of the needle is really important. The efficiency of our hand surgery lists has improved too, as we work almost in parallel with the surgeon; while one patient is in theatre, we administer a block to the next person, reducing the impact of anaesthetic time and increasing throughput. In addition, we’ve trained our A&E colleagues to administer ultrasound-guided fascia iliaca blocks to trauma patients. This has really improved the quality of care, ensuring patients are comfortable during transfer between A&E and the X-ray department, and minimising the morphine dose required. Another benefit is a significant reduction in the length of stay required for patients who undergo shoulder surgery with regional nerve blocks – shoulder decompression used to require at least an overnight stay in the hospital, and is now regarded as an outpatient procedure with minimal in-hospital recovery time needed. Read Dr. Corcoran's entire article on the Clinical Services Journal to learn more. Anesthesiologists and nurse anesthetists are increasingly using ultrasound-guided needle placement to improve operating efficiency while decreasing placement complications and patient discomfort. Learn more about using point-of-care ultrasound in anesthesia.